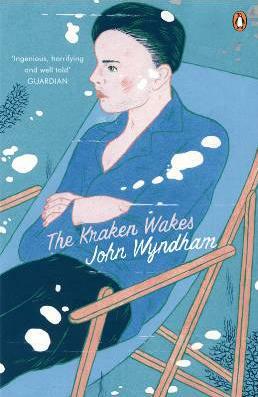 This entry was posted in Novels, Reviews and tagged John Wyndham, The Kraken Wakes. Bookmark the permalink. I thanks: I wasn’t especially happy with this review. Kinda rushed it. Overall I agree. when I first read the book over 40 years ago I enjoyed it, perhaps because is was , as this review suggests a book of it’s time. when i read it again last year I was disappointed as it had not ” aged ” well and seemed dated in every sense. However I would still urge Tomcat to read the Day of the Triffids and the Chrysalids, which I read again last year and are far superior in terms of plot, characterisation and neither have they dated like The kraken Wakes. I remembered this with greater fondness than this description merits. Interesting. Oddly I remember the waters lapping up at the end very well, but I honestly thought it ended with humanity defeated and a few remnants living on such islands/high ground as were left by the rising waters. I don’t recall the last minute solution at all. It sounds terrible. Still, I do like the sense of mounting defeat in the book, our utter inability to even engage the enemy let alone win victories over them and the sense of something utterly alien that can’t even be bothered to communicate with us. Wyndham was criticised for writing “cosy catastrophes” and this certainly isn’t a rebuttal of that. I have a copy so I’ll probably reread it. I expect you’re right though. Everything you say rings true. The Chrysalids is far better, and so I think is Day of the Triffids. Foxath, do you remember how good The Midwich Cuckoos is? Max- yes I do and I was showing my age when I posted my comments because I forgot all about it! I re-read that last year as well and rate it alongside Triffids and Chrysalids. ‘Tentacular’! I shall be using THIS word today… 😉 Great stuff, Monsieur Chat.